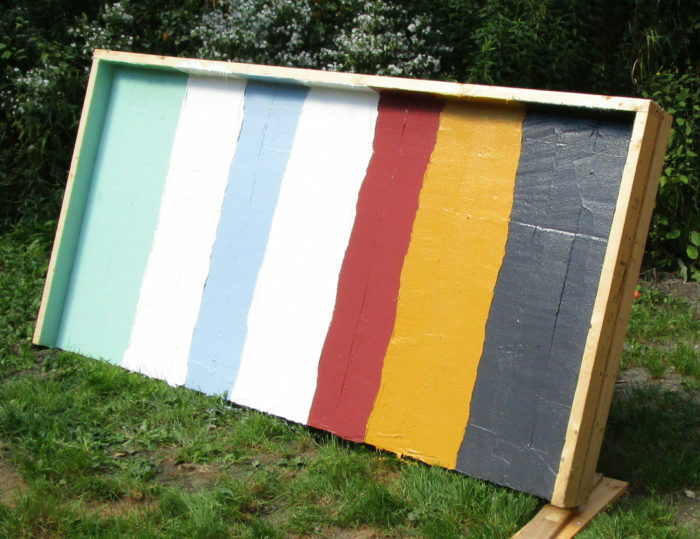 I tested seven brands of liquid-applied flashing on a piece of CDX plywood. The plywood was cut into eight pieces before the flashing was installed. Each stripe of flashing covers a plywood seam. 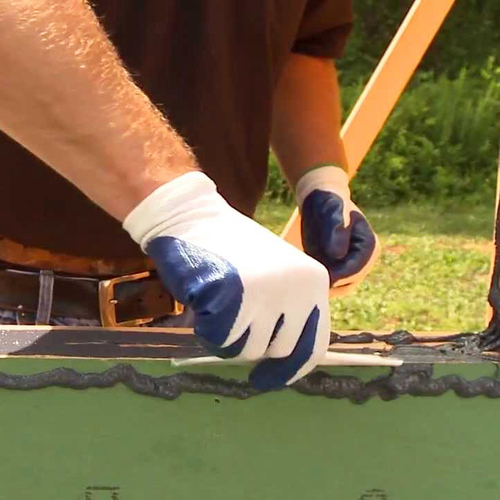 Liquid-applied flashings are caulk-like materials that are spread with a trowel. 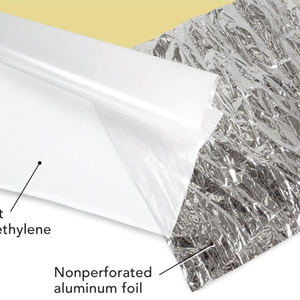 Once cured, these products form a waterproof, airtight, vapor-permeable layer that can prevent air leakage through sheathing seams or protect rough window sills from water entry. After I wrote my recent article on liquid-applied flashings, I decided to conduct a backyard test of these products. Like the backyard tape test that I conducted in 2012, this test wouldn’t be scientific (because I lack the financial resources required for a scientific test). Although the results would never be published in a peer-reviewed journal, I hoped that noodling around in my back yard might nevertheless reveal some useful information. The back side of the test rig, showing the frame on which the plywood is mounted. I decided to use a sheet of 1/2-inch CDX plywood as my test rig. 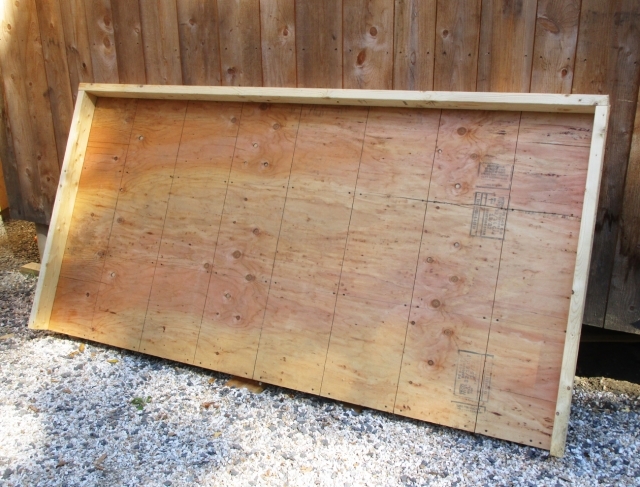 I reinforced the plywood sheet on the back with four 8-foot 2x4s, 16 inches on center. 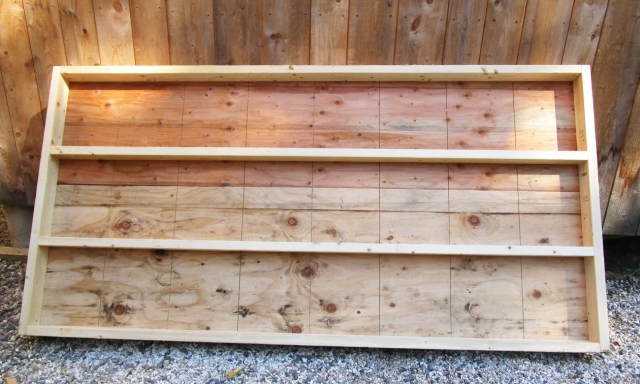 Once the plywood was screwed to the 2×4 frame, I cut seven 4-foot long kerfs right through the plywood, so that the plywood was effectively divided into 8 pieces (each 1 ft. by 4 ft.). 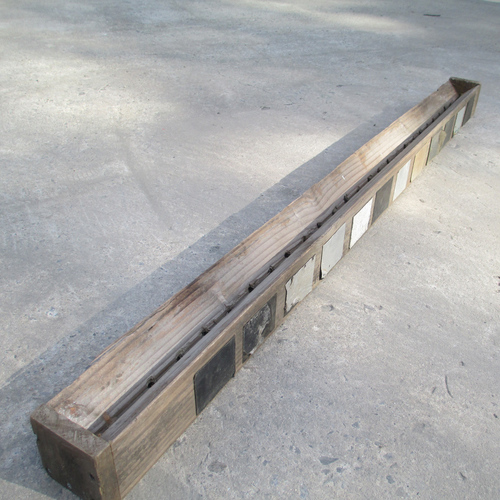 Because the plywood had been secured to the 2×4 frame with drywall screws, the test rig maintained its 4’x8’ shape. The front side of the test rig. The 2×4 curb was omitted from bottom of the assembly to allow for drainage. Note the vertical saw kerfs that divide the plywood into 8 sections. 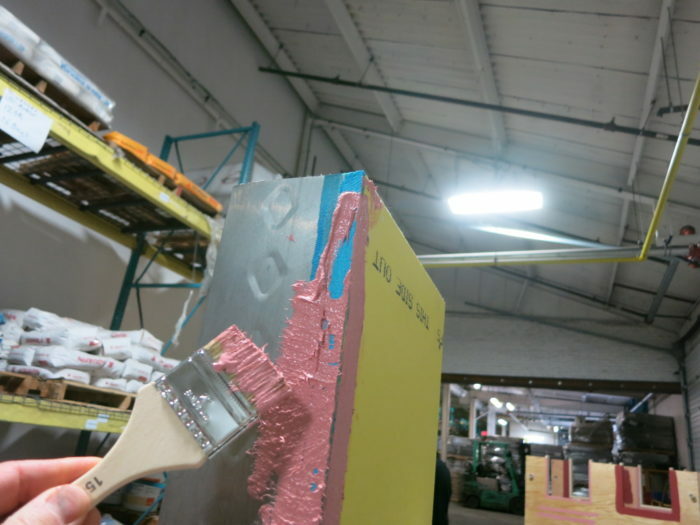 Each plywood seam will be sealed with a different brand of liquid-applied flashing. I love the backyard tests. To me, they impart a more real world, worst case scenario, fun, approach to product reviews. 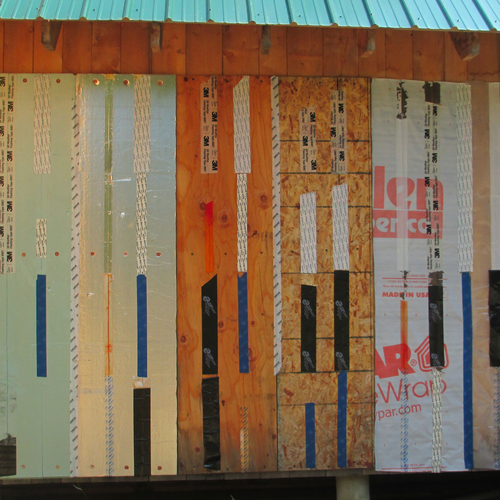 I wonder how flashing tapes would fair in a side by side test, say on zip, or with a primer on osb/plywood. 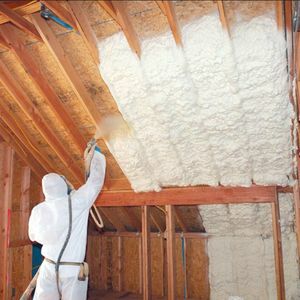 Building in northern New York, the temperature limitations of these products and dry times definitely eliminate even the option of using any of these products up here in the winter, but they still represent a viable option for warmer weather. For more information on my backyard flashing tape test, see A Backyard Test of Peel-and-Stick Flashings. After rereading your "A Backyard Test of Peel and Stick Flashings", it seems as though the "tapes" performed better, no leaks after 12 years. So what is the bottom line, tape or liquid applied flashing? Which in your opinion is going to provide more air tight, water resistive application? I have been impressed by the performance of the peel-and-stick products I have used for flashing. These time-tested products have found many uses on most job sites. Liquid-applied flashings haven't been around as long, so builders don't have much job site experience to judge these flashings by. I'm inclined to adopt a wait-and-see attitude toward liquid-applied flashings. I'm always happy to let some other builder be the guinea pig. I don't pretend that my backyard test was scientific. But I'm fairly confident in my statement that builders shouldn't expect liquid-applied flashings to keep a substrate dry when the flashings are trying to keep back a puddle of water. Martin - Great blog. How do the cost of these liquid flashings compare to the peel and stick flashings and tapes? Q. "How do the cost of these liquid flashings compare to the peel-and-stick flashings and tapes?" 1. Prices for liquid-applied flashings and peel-and-stick flashings vary widely, depending on which product you choose and whether you are buying in bulk. 2. You're more likely to have waste when using liquid-applied flashing, because you have to throw away a half tube of liquid-applied goo, whereas the peel-and-stick leftovers can easily be saved for another day. In my previous article, Liquid-Applied Flashing, I reported, "A 5-gallon pail of Dow LiquidArmor can be purchased on the web for $263. That's equivalent to $53 per gallon. 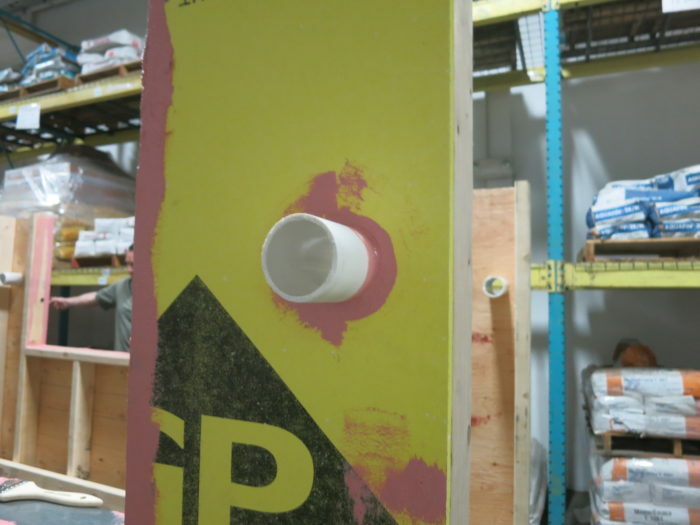 Mike Stout reports that retailers of Protecto Wrap LWM200 liquid-applied flashing are charging between $35 and $50 a gallon for the product." 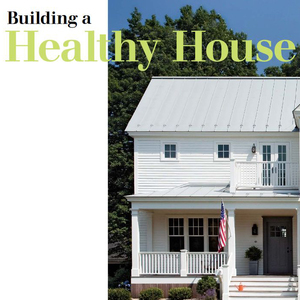 If we use Protecto Wrap LWM200 as an example, the installed cost of this product, assuming no waste and assuming application at the recommended coverage rate of "up to 65 square feet per gallon," is between 54 cents and 77 cents per square foot. If we assume a more likely coverage rate of 50 square feet per gallon, the cost would be between 70 cents and $1 per square foot. In my 2001 article on peel-and-stick flashing for JLC, I reported that peel-and-stick flashings cost between 39 cents and 84 cents a square foot. A recent web search shows that I can buy Grace Vycor peel-and-stick flashing for 64 cents a square foot. My conclusion: It seems that these liquid-applied products either cost about the same per square foot, or are somewhat more expensive than peel-and-stick products. There will probably be less waste with peel-and-stick products. Not sure if you've seen it but Matt Risinger did a video on his visit to the UT lab that was evaluating fluid applied weather barriers. Not exactly the same as your test but interesting none the less. 1. 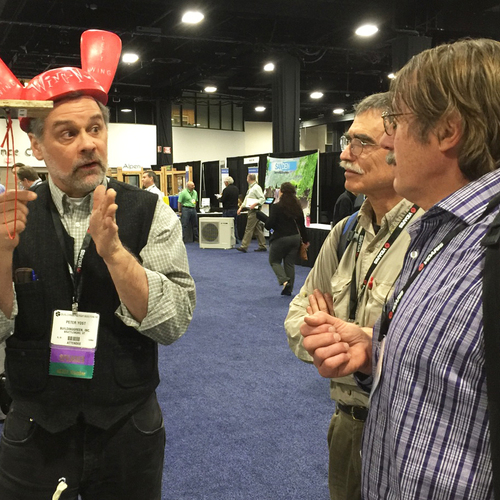 He's looking at liquid-applied WRBs, whereas my article is on liquid-applied flashing. These product categories are similar but different. 2. The test facility he visited is testing asphalt felt and Tyvek as well as liquid-applied products. I disagree with Matt's opinion that we expect these materials to be airtight. The fluid-applied products should probably be relatively airtight -- but most residential WRBs aren't. 3. I'm not sure what we learn from the degradation of WRBs exposed to Texas sunlight for 2 years. This test may be relevant to long-term performance of a WRB installed behind siding -- or the results may be completely irrelevant, since WRBs spend most of their life in the shade. Keep up the good work.... now I don't have to try this! I had been attached to the idea of liquid flashing for an install error resistant, durable flashing solution for all the more complex spots. Now it seems like stretch tape would be a better option. I guess I have to dig into that more. For some applications, a stretchy tape like DuPont FlexWrap is an excellent choice (although rather expensive). I wouldn't give up on liquid-applied flashings. The best wall assemblies include overlapping flashing details, drainage opportunities, and a ventilated rainscreen gap to speed drying. 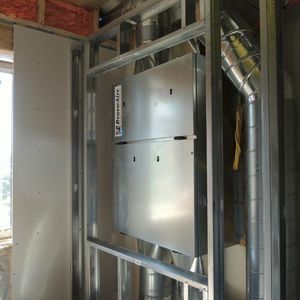 When all of these are included, especially the ventilated rainscreen gap, the system works to keep the wall dry. A little bit of water won't destroy the wall, as long as there are opportunities for evaporation. 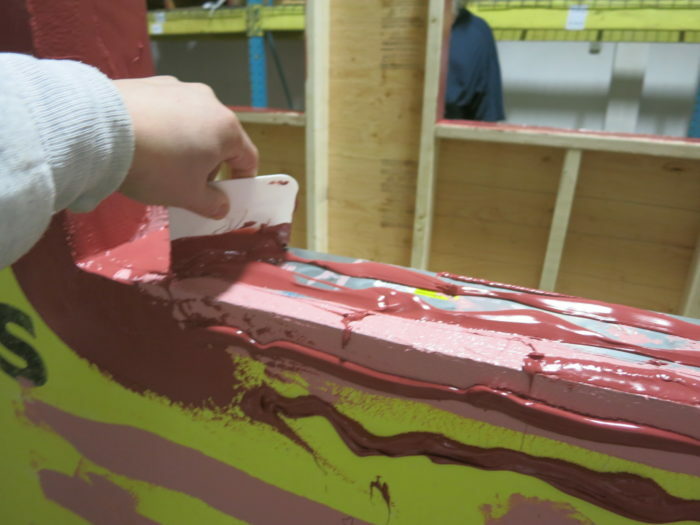 So for many applications, liquid-applied flashings don't have to be robust enough to pass the bathtub test. then the fast flash is used over the joint and seam. To be fair you need to test using the recommended system. You are absolutely right; my oversight. Thanks for bringing this to my attention. I will edit my article to reflect your point. 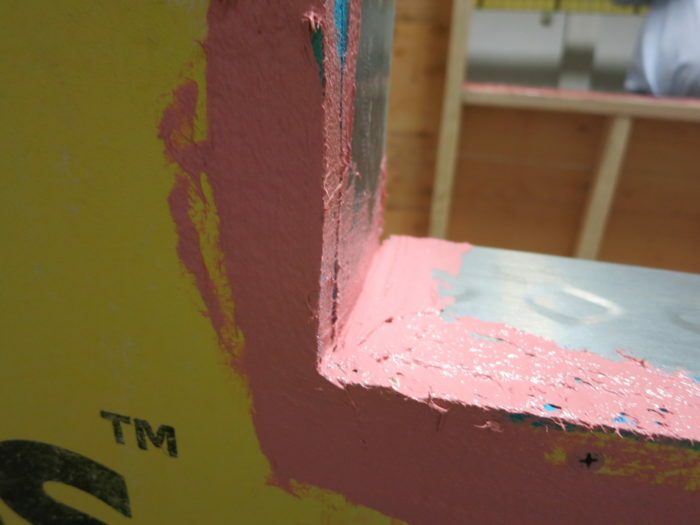 Following up on Debra Glauz's comment--just some more information on Prosoco Joint & Seam filler (pink stuff)--it's a similar STPE chemistry, but it has some types of fibers (fiberglass, perhaps) for added tensile strength at seams. It comes in the same sausage tubes, and is spread either by squeegee or with a chip brush. You then overcoat with FastFlash (red stuff). Thanks for sharing the photos. It makes intuitive sense that a product with added fibers would help seal seams. Isn't this product also made by Prosoco? I am not familiar with a product called "Zip Fast Flash." 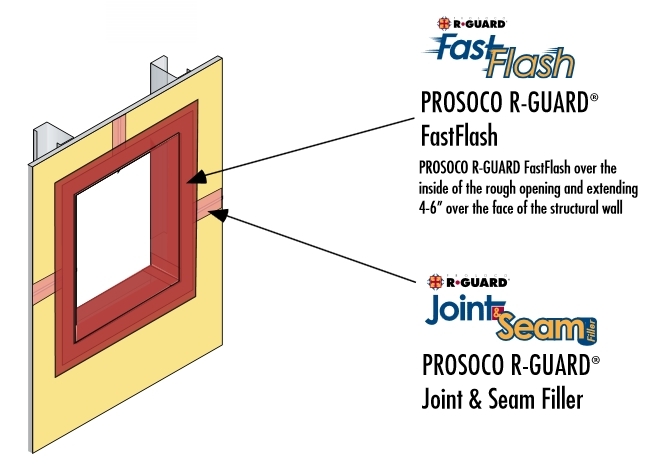 I am familiar with a product called "Prosoco FastFlash" -- also known as "Prosoco R-Guard FastFlash" -- and, not surprisingly, Prosoco FastFlash is manufactured by Prosoco. Thanks for the information on Zip System Liquid Flash.